- iPhone 9 might come with a two sim capability. Apple has always created a very high 'anticipation suspense' when a new device is coming. That same suspense drove you here, and welcome we have most of the gist that will wet your appetite on the coming New iPhone 9. To begin with the new launch of the device will be on Wednesday, September 12 which is the same date that the iPhone X launched a year ago. The event will be anchored by Tim Cook at last years venue which is The Steve Jobs Theater at Apple Park, the company's headquarters. The New iPhone 9 will most definitely come with a 6.1-inch screen which looks like the iPhone X. But will come with an LCD screen instead of an OLED screen like iPhone X. The new iPhone 9 is said to have been made with an aluminum frame and could have a 0.5 bezels. It's also said to have a single-lens camera and innards that are more reminiscent of the iPhone 8 than the iPhone X. As far as the rear camera is concerned this mobile has a 12 MP sporting a much larger lens on its rear, which could mean a wider aperture. The iPhone 9 will come with a single lens though instead of the new traditional dual camera trending on new devices. The new device will be powered by Octa core processor paired with 4 GB RAM. Coming with an On board storage of 64 GB with the option to expand the memory by No, the iPhone 9 is really taking after it younger concepts. The device will be running on 2050 mAh battery, there is also a brief talk about Apple including a fast charger in the box with the iPhone 9 and any other 2018 iPhone models. Apple will bundle a brand new, custom-built chip on the iPhone 9 which will be called the Apple A12 . The device will include sensors such as Light sensor, Proximity sensor, Accelerator, Barometer, Compass, Gyroscope, fingerprint sensor. It’s looking increasingly likely that this year’s iPhone will be the first to allow you to insert two SIM cards at a time…but only in a model released in China. For a device having 2 sims have been an ability very popular in the developing world, but although it would be useful in the west as well Economic Daily News reports that it will be a feature that’s exclusive to China. The code snippets suggest that the feature is definitely coming, but we wouldn’t be surprised if it came to a few more countries. Already referred to as an "affordable" phone and not a budget phone. The iPhone 9 price tag may be less than what has been expected. 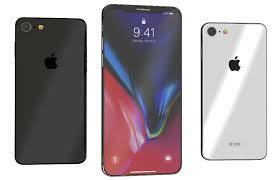 According to rumors in the tech market the main price from a renowned analyst Ming-Chi Kuo, he claims the iPhone 9 could cost $600-$700 which would make it cheaper than or maybe the same price as the iPhone 8.